SuperPhillip Central prepares for Halloween with a horror-themed light gun shooter of the past. It's a retro review of two games that are retro themselves. How deep does this rabbit hole go!? 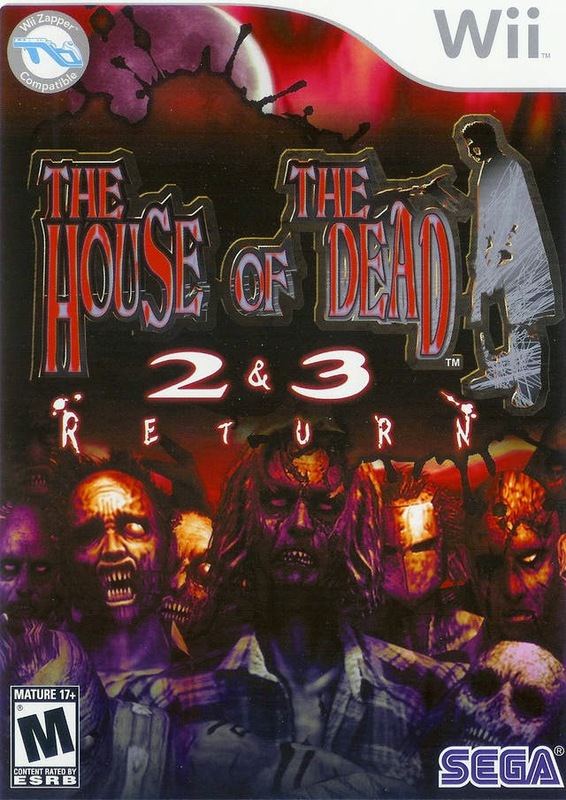 Here's my review of The House of the Dead 2 & 3 Return for the Nintendo Wii. rise from their grave for a Wii revival. Here's a short history lesson for you. 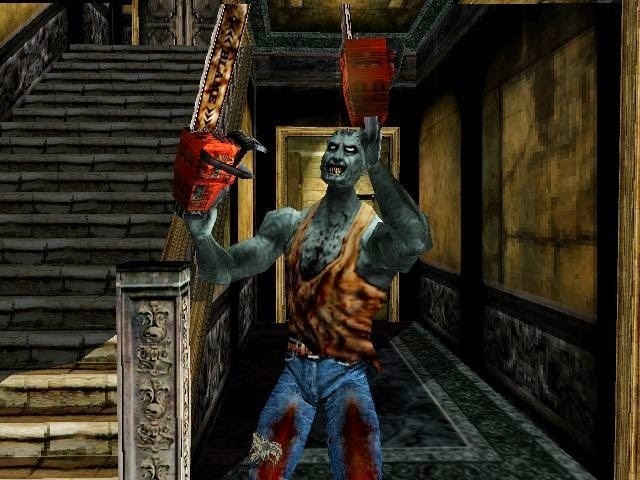 The original House of the Dead released in North American arcades in 1996. Two years later, its sequel crept onto the scene and a little while later received a port on SEGA's haven for arcade ports, the Dreamcast. 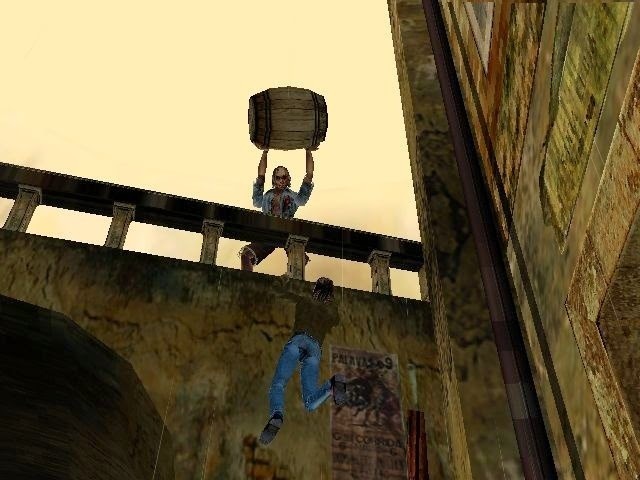 Following that up in 2002 was the third entry in the House of the Dead franchise. Due to arcades waning in popularity, this title was also ported, but this time on the Xbox of all places. Fast-forward to the middle of the generation prior to this one. 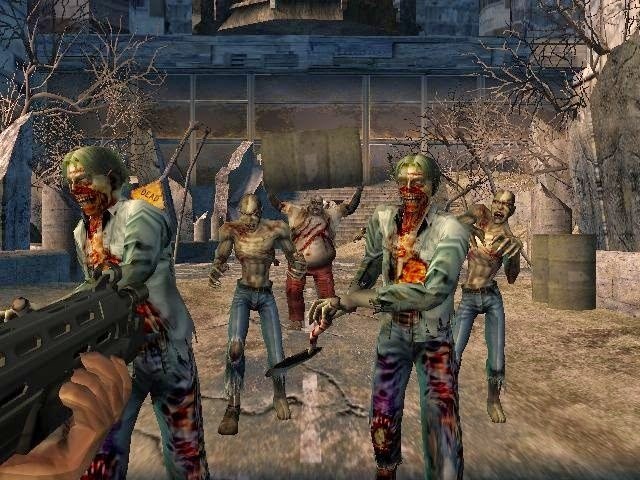 SEGA put both The House of the Dead 2 and The House of the Dead 3 onto one disc for the Nintendo Wii, a system that had time and time again proven itself to be a great place for light gun shooters thanks to the system's unique Wii Remote controller and pointer functionality. While the collection of two games on one disc for a low price is one hell of a deal, there's some ancient archaic design decisions that were better left for dead (i.e. the arcades of old). reenactment of Michael Jackson's "Thriller"! The basic premise of both House of the Dead games have you on a predetermined path, requiring you to blast away zombies, killer owls, frightening frogs, swamp creatures, and much more in order to not only progress through levels but also to survive. Thankfully, with a home version of both games, you need not sink tons of quarters into some arcade cabinet to continue when you die... and you will die... A LOT. Aim well or be feasted upon! Generally a head-shot is good enough to subdue the weaker zombies, but some take a flurry of shots to bring down. It's here where The House of the Dead 2 is deemed more difficult than the third installment. 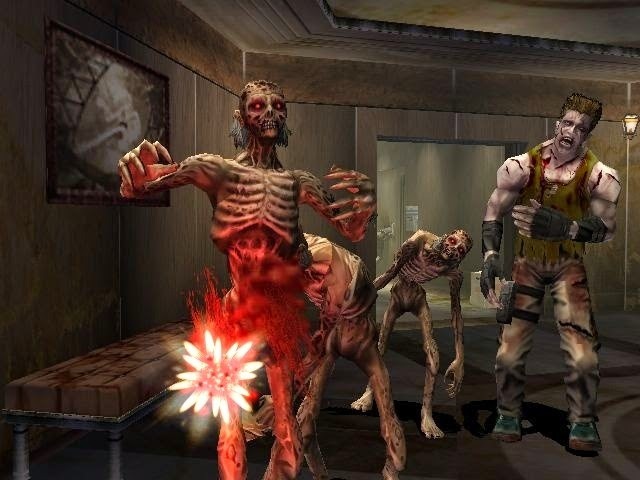 In The House of the Dead 3, not only are you equipped with a shotgun, offering a wider blast radius, but you also have more ammunition in a round of fire than what is available in The House of the Dead 2. While 3 has around 8 bullets in a round, 2 has a meager 5, meaning that you'll most likely constantly end up having to reload mid-encounter. In that sense, there's a larger amount of strategy involved. When and where do you reload for maximum safety and efficiency is such a question that needs to be thought about. these axes, so keep your aim sharp! Survivors of the zombie/bioweapon onslaught will appear frequently throughout missions. Saving them is a matter of quick reflexes and good aiming. Sometimes a saved survivor will grant you an extra piece of health to work with, while other times the saving a survivor can open up a completely different path through a level. This is where some replay value-- outside of continually going for high scores-- comes in. Upon dying or completing the story of either game, you're shown the route that your special agent took through the game, revealing all of the multiple pathways available. Seeing every path is something that will take a little while to do. No matter which path you choose or just so happen to follow, a boss encounter waits at the end of the line for each mission. These demand excellent aiming, fast pick-ups on the boss' various tells, and paying attention to where its weak point(s) is/are. There's a small amount of memorization of boss patterns to deal with, and for the most part, these battles are engaging, fun, and fair. add some variety to the formula. The House of the Dead 2 in this Wii exclusive package comes with two all-new modes, a boss rush and Original Mode. The latter is for players (like myself) who find Arcade Mode too challenging, even with all of the extra lives the game throws at you for continually receiving game overs. Original Mode has you coming across items in each level. These items can then be used to make the game an easier time, such as having more ammo capacity in a round, more credits to work with, and so forth. Meanwhile, The House of the Dead 3 has every little delightful doodad the original Xbox version came with. 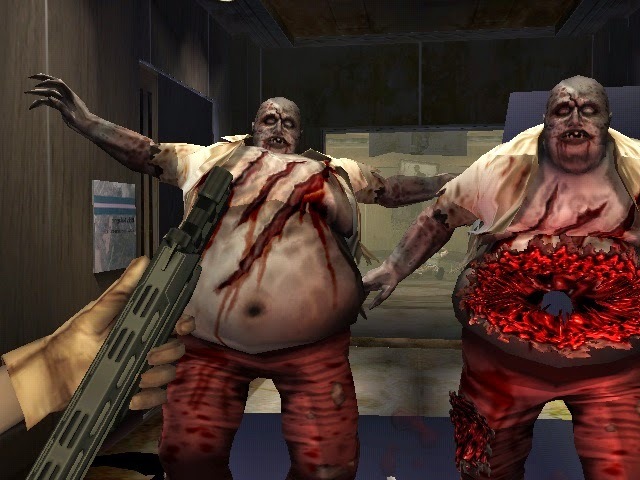 Both games offer cooperative play with you and a friend or whoever blasting away loads of undead enemies, or in House of the Dead 3's case, blowing holes through obese enemy bellies with satisfying shotgun blasts. The downside of this is that both players share the same amount of credits, meaning that it's almost a detriment to play with another player, especially one who is, shall we say, less than skilled. of these fat zombies seldom gets old. 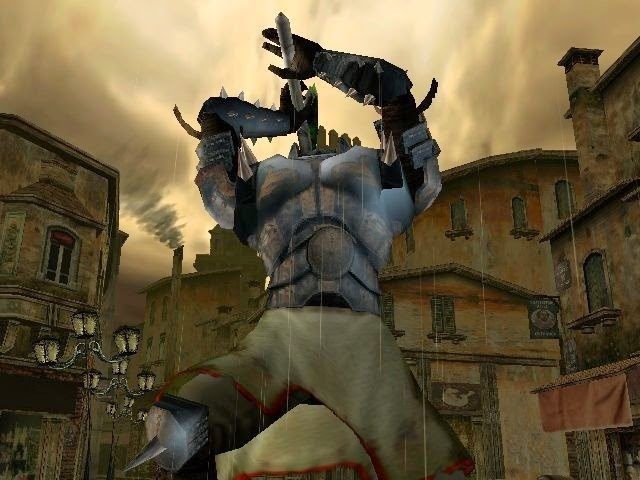 Besides these mode alterations, both House of the Dead games are faithful to their originals, whether that be a good thing or not is up to you. The only thing more offensive than the stilted, horribly acted dialogue (which in all honesty, sort of falls into the "so bad, it's good" category) is the incredibly blocky and ugly visuals of both games. Sure, The House of the Dead 3 doesn't look nearly as bad as its predecessor, but what is seen is the stuff nightmares are made of. buy-one, get-one sale on chainsaws. Having the two most popular House of the Dead games on one disc is a wonderful blessing. Whether it's worth tracking down a brand-new sealed copy is again, up to you. 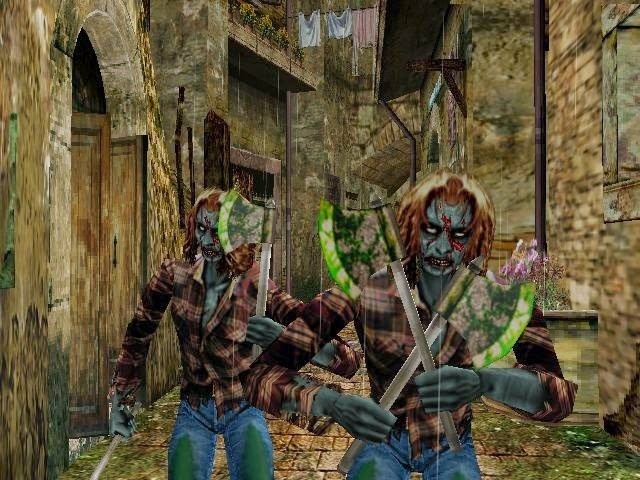 That said, though the difficulty is unquestionably high and the duo of games' arcade roots definitely show some large signs of aging, The House of the Dead 2 & 3 Return makes blowing zombies up into little bits and pieces fun, and hell, that's really all you need, isn't it?